Neapolitan – the original pizza. This delicious pie has a history that dates all the way back to 18th century Naples, Italy. During this time, the poorer citizens of this seaside city frequently purchased food that was cheap and could be eaten quickly. Luckily for them, Neapolitan pizza – a flatbread with tomatoes, cheese, oil, and garlic – was affordable and readily available through numerous street vendors. 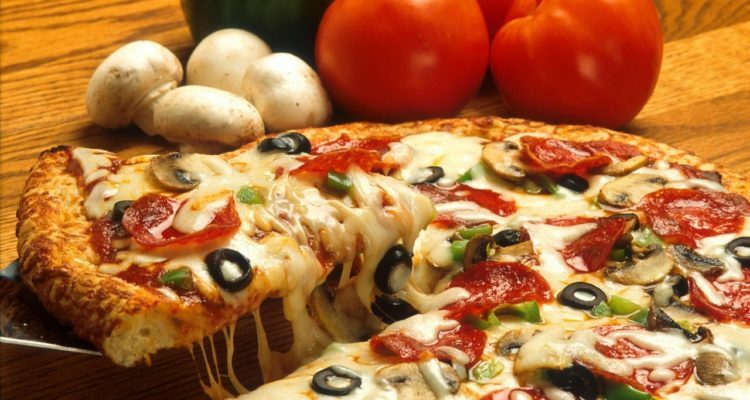 Traditional toppings: Since Neapolitan pizza is thinner, it isn’t designed to handle the weight of too many toppings. In fact, Neapolitan pizza is so thin that it’s typically eaten with a fork and knife. Not to mention, straying away from the original could be considered a pizza sin. The typical Neapolitan pizza toppings are fresh mozzarella, tomatoes, basil leaves, oregano, and olive oil. Many people will tell you that in order to make “real” Neapolitan pizza, it must be baked in a wood burning oven that’s heated anywhere from 800 – 1,000 degrees Fahrenheit, similar to how they made it many years ago. Baking the pie at this high of a temperature only takes around 70-90 seconds to fully cook.